The firm invested $30 million to $40 million in Nikola prior to that fundraising campaign, according to ValueAct CEO Jeff Ubben. The precise stake is uncertain, though well less than 5%, he said. San Francisco-based ValueAct purchased shares from Nikola’s CEO along with some early investors. Ubben said he cold-called Nikola’s founder and CEO Trevor Milton about a year-and-a-half ago because he became interested in the hydrogen fuel cell industry and the potentially disruptive innovation Nikola might offer. 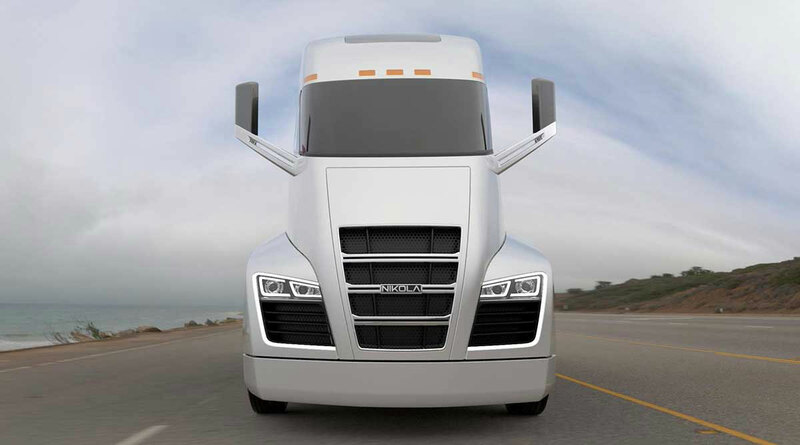 Nikola has the potential to disrupt the trucking, rail and air cargo businesses by producing fuel that is about 20% to 30% cheaper than diesel, Ubben said. Its technology uses solar power to split water into hydrogen that can be used for trucking fuel. Nikola will unveil its new truck and three other products this week at an investor meeting that starts April 16 in Scottsdale, Ariz.
Last May, Anheuser-Busch InBev NV ordered 800 tractor-trailers from the company as it seeks to convert its long-haul delivery fleet to vehicles powered by renewable sources by 2025. Nikola will produce those trucks and get a cut from the fuel it sells them. That will help the company to collect leasing revenue and also will entitle it to share in the value of their fuel. Its trucks will run at a cost equivalent to about 95 cents per mile, he said. That compares to the roughly $1.15 per-mile that it costs to run a truck on diesel fuel, he said.